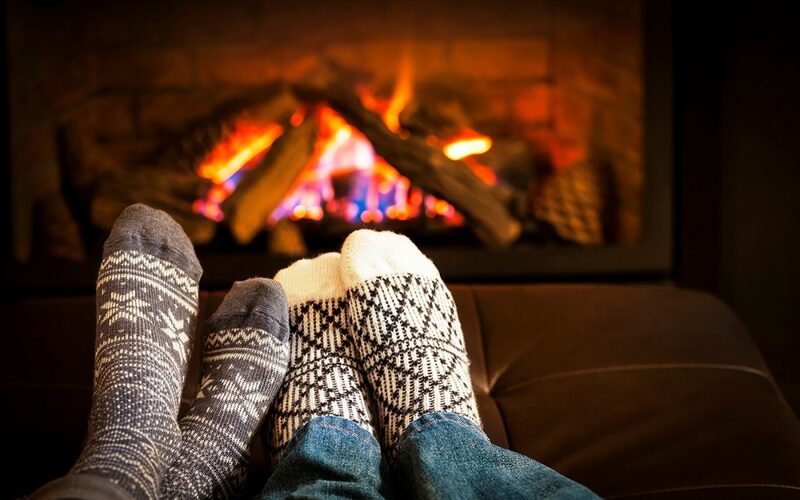 Winter is almost here and it’s the perfect time to enjoy your fireplace once again. Fireplaces provide cozy warmth perfect for enjoying an evening alone or with family and friends. Before you use your fireplace this season, use these tips to prepare your fireplace for use. You should have your chimney swept once a year to remove any soot and debris. When your chimney isn’t clear, the smoke backs up into your home because it has nowhere else to vent. When your professional chimney sweep arrives, be sure to let him know if you’ve noticed anything out of the ordinary about your chimney or fireplace. The chimney sweep should check for chimney damage and will let you know of any needed repairs. There should be a cap on top of your chimney with wire mesh sides. The cap will keep birds, squirrels, rain, and debris out of your chimney. If your chimney cap is damaged or missing, fix or replace it. Another thing you should do to prepare your fireplace for use is to clean the blower if your fireplace has one. Many fireplace blowers do not have filters, so you must clean it manually in order to prevent buildup. Replacing the batteries in your smoke and carbon monoxide alarms on a regular basis is important, especially if you have a fireplace. Test the alarms before you begin using your fireplace for the year. Prepare your fireplace for use by sweeping up the ashes in the firebox. You’ll want to clean up the ashes once a week or when the ashes are more than an inch deep throughout the season. Coals can remain hot for up to three days, so be sure everything is cold before you clean out the ashes. Dispose of your ashes outdoors. Tree branches near your chimney are a fire hazard and they can damage your chimney cap. Trim back tree branches that are hanging over or near your chimney. The glass doors on the fireplace help keep stray sparks and embers from landing outside the fireplace and damaging your floor and furniture. Check your glass doors for cracks. Before you begin using your fireplace for the year, clean the glass doors with a fireplace door cleaner. If you don’t have glass doors or need to replace the ones you have, consider upgrading to heatproof glass doors. Safeway Home Inspections serves North and Central New Jersey with home inspection services. Contact us to schedule an appointment.